Technocrati.com have recently published their State of the Bolgosphere 2011 report and it raises some interesting questions. The report is based upon a survey of 4114 bloggers around the world, and presents various statistics in easily readable graph format explaining who blogs and their stated reasons why and purposes. I am one of the 30% over 44 year olds, with the majority being considerably younger than me and much more experienced. A small percentage treat blogging as their job, make an income from their posts or run a blog for their own business or employer. The vast majority do it as a hobby, in the main to express their expertise or interests. A major sector say that they just blog in order to speak their mind freely. I am most interested in the professional category, and I in fact find myself somewhere within that group. I am not however paid to promote something, but to provoke discussion about the ethical implications and responsibility issues brought about by technological development, and one of my tools is blogging. My employer is also a non-profit research foundation, so the aim of making money is out of the equation. Blogging is generally perceived as a pier to pier action, and the report cited above demonstrates that people trust blogs and bloggers, in many cases more that they trust other publishers. But what if we find people publishing reviews about services or products that they have a vested interest in? If I am paid by a company to review or promote their products can I be really honest in my views? And what about the breech of trust implied? In the US the FTC (Federal Trade Commission) made a ruling in 2009 determining that bloggers have to state if they are paid for posts by an interested third party. If a blogger in the US does not state that they either receive the product to keep or are paid by someone to write the review they risk an 11000 dollar fine. 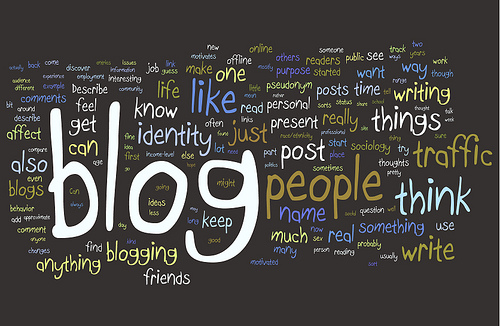 In the UK the Office of Fair Trading also has extensive blogging disclosure rules. All well and good, but the report above states however that only 60% of people that find themselves in this position actually adhere to the rules, and the statistics are very likely to be skewed, as when a person is asked if they have respected the rules that almost always say yes. How could this problem be addressed? The Technology Bloggers site refuses to publish anything that may be deemed promotion, the author guidelines are clear. But would it be possible for all blogs make this statement and enforce it, and if it were possible would they do it? The implications for trust and the spreading of reliable information are obvious. Another issue I wish to raise involves advertising. The report offers various statistics about how many blogs have advertisement placings, before going on to analyze the reasons given either for not carrying or carrying advertising, the issue of control over who advertises and the possible financial rewards. Here again we step into the issue of trust. 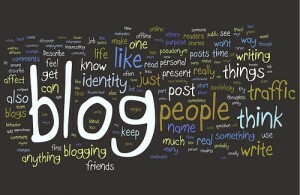 If a blog has a reputation as offering reliable and quality information this reflects upon the company advertising. The placing is a two way endorsement. If advertising is not offered (as some may feel that it affects independent status or may not reflect the blogger’s ideals), how can a blog not only make money (if that is the aim) or even cover its expenses? Most bloggers sink their own money into setting up and running their blog, and if you add up the time spent in maintenance (and the administrators are undoubtedly experts in their field) each blog should be seen as a real investment in terms of many different forms of capital. You pay $120 an hour for such expertise in other fields! Wow, I didn’t realize how contagious blogging has became. I truly thought 90% of the bloggers would be under 30-35 or so . I wouldn’t have thought 30% of bloggers are 40 and over (I know it was just a survey of over 4000 people, but still). I’m surprised that 40% of bloggers who are receiving payment or getting to keep goods are stating this on their blogs. I would have thought the figure was much lower (ie your 60% would be higher) as I really can’t remember ever seeing a statement on a blog stating that they have been paid to express that view. I cannot ever remember seeing it either, and I have recently looked around, and the cupboard is still bare. These are survey results. If I ask a question, such as ‘do you pay all of your taxes?’ or ‘do you abide by the law when you are driving?’ you probably answer yes, as I do, and statistics would state that 100% of respondents pay their taxes and abide by the law, but that certainly is not a representation of the exact truth. I for example got 3 points on my license for only having one L plate on my motorbike! And as one of my employers once said, ‘it is only illegal if they catch you.’ So, they might be lying. I just wonder if my country has such a law and I may say that not yet as we are a bit young for setting up laws for blogging, but at the same time we have lots of other taxes to be paid. At the same time who is going to track such kind of bloggers who give reviews after having been asked about it? The issues in the report are really interesting and worth discussing. 30% of bloggers are over 40 is my biggest surprise! To be honest, many of the blogs that I visit on a daily basis are from young bloggers (and they’re really good at what they do). I haven’t owned a blog yet. But I think when the time comes, I will build it to share my expertise as I always want to help as many people as I can. If you look at how many blogs are about business or innovation and finance you can imagine that their authors are likely to be a bit older. I was also surprised, I thought I was the oldest kid on the block! I don’t fully agree with these transformations in the blogosphere. Promotion is never welcomed and I pretty sure the community agrees with it ! I can see both sides of this argument. I certainly think a blogger who attracts traffic on the internet should be able to be compensated somehow for their popularity. I also can see a concern that naive readers may not be able to discern when a blogger is blogging their actual opinion or a purchased opinion. I can recall hearing radio DJs reading what turned out to be an advertisement on the radio station where they normally are there just to entertain. How is that different then a blogger writing a post about a product that they have been paid to try and review? What about athletes who live their lives as walking billboards for different companies? Hopefully anyone would have enough integrity to not endorse something the didn’t believe in, and hopefully the public is savvy enough to know the difference. If a blogger wants to take some privileges for what has probably been years of unpaid work they definitely should have the possibility, and we all know what advertising is and would like to think that we recognize it, but there are laws and I would say moral obligations that are being flaunted. I understand and agree that the laws of disclosure should be followed. Are you saying that if they were consistently adhered to there would be no issue? Or is this more a question of where the line becomes skewed between being a trusted source of information and something less than that? It seems that the American media is beginning to feel the sting these days of buckling to their sponsors, or at least appearing to buckle to them. It would probably be wise for a blogger who wanted to maintain a solid reputation to stick to some hard rules about advertising on their blog. Even the best can fall in the eyes of the public when it seems they have “sold out”. I remember Paul Harvey (yes, I’m old enough to remember Paul Harvey on the radio). I remember liking to listen to his stories while driving with my family on cross country road trips. I also remember the disappointment I felt when I was a little bit older and I realized that Paul Harvey was reading a commercial. I was just a kid and I felt like he was trying to trick me somehow. It’s all very interesting, really. An interesting question. I am not saying that following laws resolves the problem, but at least openness would be a move forward. Here it is an issue of trust. We know when we see publicity that they are trying to sell something, that they tell you how good it is and try to convince you to buy it in any way possible. blogs have the reputation of impartiality however, true as it may be or not, but people do not think that what they are reading is publicity, they think it is information. Ghost writing is also an issue that touches upon similar problems, Medical journals are the worst examples, publishing pseudo articles written by drug company employees and endorsed by doctors who receive money for their signatures. Doctors believe their peers and so do bloggers!